The Sculpture Adoption Scheme is an adoption service for sculptures, seeking to match works of art with new guardians. There are currently 95 works by 54 artists offered for adoption which can be viewed in our catalogue below. 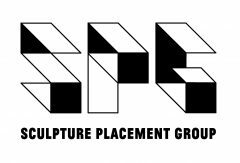 SPG have worked with artists to identify sculptural works in long-term storage with no current future that they are happy to offer for adoption by community groups and other organisations. The Sculpture Adoption Scheme will bring sculptural joy into people’s daily lives and will test a new model for circulating artworks, increasing access to art ownership and alleviating artists of the pressures of storage and space. Let’s give work hidden in storage a new life! For documentation of completed adoptions please see here. Laura Aldridge, Beagles and Ramsay, Mary Redmond, Andrew Lacon, Rachel Lowther, Nick Evans, Felix Welsh and Littlewhitehead, Alex Allan, Beth Shapeero, Tom Allan, Daisy Richardson, Jennifer Wicks, Laura Aldridge & Anna Mayer, Laura Aldridge, Tessa Lynch, Victoria Evans, Cate Newton, Catalina Barroso-Luque, Helen Shaddock, Tim Sandys, Louise Gibson, Allison and Bray, Thom Rees, Beagles & Ramsay, Oona Wilkinson, Craig Coulthard, Nick Evans, Louise Barrington, Graham Fagen, James McLardy, Ally Wallace, Raymond Strachan, Zsofia Jakab, Marcin Krupa, Alys Owen, Littlewhitehead, Elaine Allison, Arieh Frosh, Janie Nicoll, Joseph Buckley, Jolanta Dolewska, Elke Finkenauer, David Sherry, Laura Buttons, Oliver Braid, WeiKeong Tan, Lada Wilson, Mary Redmond, Rachel Barron, Andrew Lacon, Emma Pratt, Felix Welch, Corrie Thomson, Rae-Yen Song, Kevin Andrew Morris, Ellie Harrison, Graeme Durant, Leontios Toumpouris, Hannah Imlach, Kate V Robertson, Toby Paterson, Rachel Lowther, Ilana Halperin and Jock Mooney.